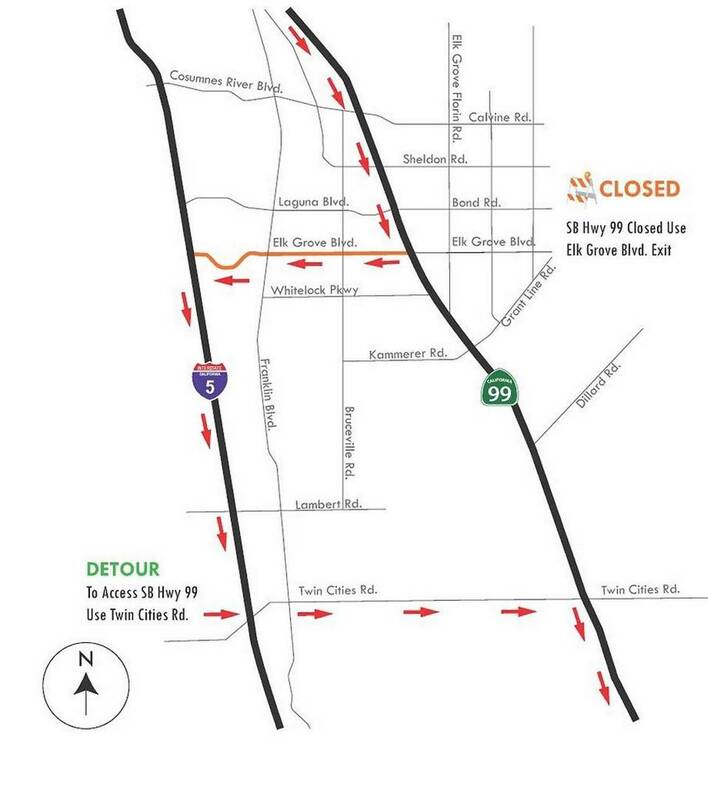 Caltrans announced today a major overnight closure of Southbound Highway 99 through Elk Grove. Nighttime maintenance bridge work is scheduled and will require a complete shutdown of the highway. 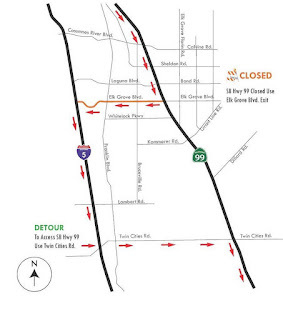 Southbound Highway 99 Complete Closure at Elk Grove Boulevard Thursday, 8/25 from 9 p.m. to 4 a.m.
Crews will be working at various locations to remove k-rail and install new guard rail. Motorists are urged to choose an alternate route to avoid these delays, and to expect extended travel time. Weather or unexpected events may delay or prolong the work.